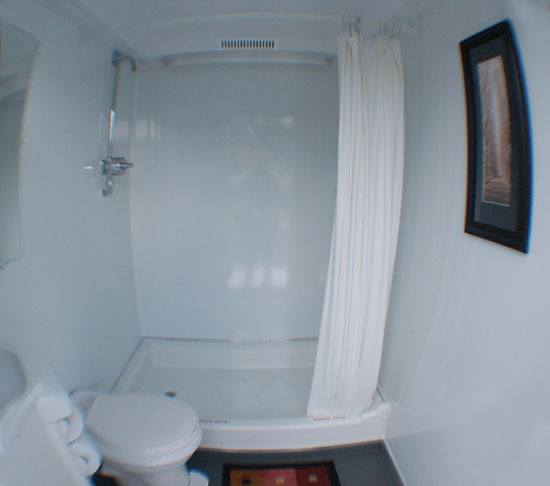 If you are searching for “portable shower rental“, “mobile showers“, “portable shower stall rental“, “temporary portable showers“, “porta potty shower combo“, “portable showers for rent near me” or “shower trailer rental” in Phoenix, North Scottsdale, Cave Creek or Carefree, Royal Restrooms of AZ can help! Royal Restrooms of AZ offers a variety of shower trailer rentals near you, give us a call today at 480-734-9809 for a free quote. 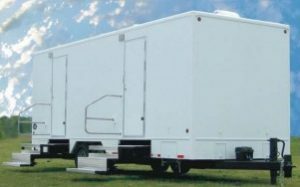 Our portable shower trailers were designed with plenty of space in mind. 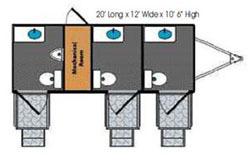 With Royal Restrooms AZ, the shower trailers are compact enough to be placed in different areas and can fit in even the most challenging of spaces. Some special occasions require more than one restroom area to avoid waiting in long lines and some guests need easier access to facilities. That’s why we offer a variety of portable shower trailers and mobile showers to suit your special event needs. Our shower trailer rental costs are affordable and we can deliver your rental anywhere in the Valley. We also offer portable toilet shower combos at request. Choose from Standard Portable Shower Trailer, Platinum Portable Shower Trailer or Double Diamond Portable Shower Trailer for your wedding or special event. Step into the immaculate, upscale roominess of a quiet restroom with flushing toilets, sinks with running cold and hot water, air conditioning and heat. In addition we provide lighted vanity mirrors, recorded music, hand towel and soap dispensers, silk flower arrangements & rugs, and framed art. 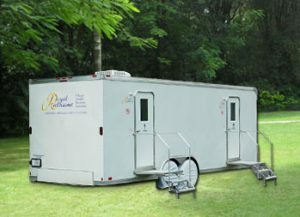 Each Royal Restrooms shower trailer features private spacious rooms, soap and paper towel dispensers, small sinks and mirrors, and an optional full-sized flushing toilet. Functional advantages include dual oversized propane tanks providing continuous hot water on demand, and climate control a/c and heating. Grey water from the showers can either flow directly into the waste holding tank, or be diverted to a specific location on the ground or sewer line. 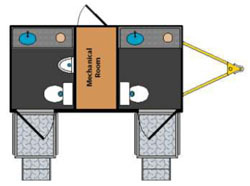 If operated from a continuous water source, the unit provides approx. 450 hot showers before the propane needs to be replenished. Each unit requires a 110 volt outlet (regular outlet) which pulls approximately 20 amps. A generator can be provided for use if power units are not available onsite. Each unit can be connected to a regular water spigot. If water is not available a limited onboard supply of fresh water can be filled and delivered. The holding capacity of each tank is approximately 130 gallons. The propane on demand hot water is good for about 450 showers, depending on the length of each shower. Additional propane tanks may be requested. 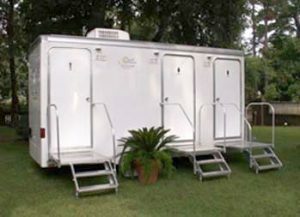 Royal Restrooms of AZ portable shower trailers are a great solution for special events such as wedding, festivals, camping, residential and commercial remodeling projects, concerts, fairs, corporate functions and retreats. 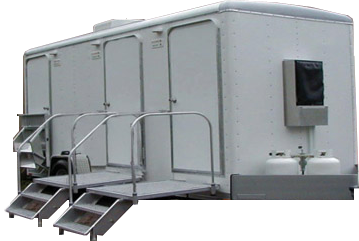 These mobile shower trailers can also be used for emergency situations. Plus the design of Royal Restrooms gives them the mobility to go almost anywhere. Royal Restrooms AZ services the Phoenix metro valley and surrounding cities from Flagstaff to Tucson, and many more! Stop by Royal Restrooms of AZ at 29834 North Cave Creek Road # 118 Cave Creek, AZ 85331-2384 or give us a call today at 480-734-9809 for a free estimate. What Is a Portable Shower Trailer? A portable shower trailer is simply a mobile shower on wheels. They are usually in the form of a porta potty shower combo where guests can use the bathroom, wash their hands in a sink and take a shower if needed. Propane heats the water so you can have hot water coming from the sink and take hot showers. What is a Porta Potty Shower Combo? 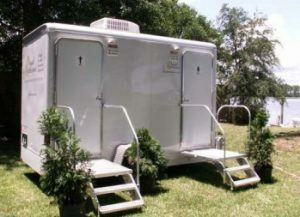 A porta potty shower combo is a portable restroom that also has a shower installed. Most porta potty’s only have a toilet. Porta potty shower combos usually have a toilet, sink and shower. How Much Does It Cost To Rent A Portable Shower Trailer? According to costhelper activities, the cost to rent a portable shower trailer is about $2,750 ranging from $1,000 to $4,500 for an entire weekend. *Disclaimer – this is not an actual quote for your shower trailer rental. Contact us to get an actual quote. If you are searching for “portable shower rental“, “mobile showers“, “portable showers for rent near me” or “shower trailer rental” in Phoenix, North Scottsdale, Cave Creek or Carefree, Royal Restrooms of AZ can help!